The Securities and Exchange Board of India (SEBI) on Friday approved the framework for enabling technology-oriented startups and new-age companies to list on the exchanges. Under the new framework, the capital markets regulator has permitted sophisticated investors to participate in the offerings and trading of startups on the Innovators Growth Platform (IGP). Besides investors with the backing of family trusts having a net worth of at least Rs 500 crore and well-regulated foreign investors, SEBI created a new class of 'accredited investors’ or AI. Such investors can get accreditation by applying to the stock exchanges and depositories. AIs possessing demat accounts and deemed eligible will be allowed to participate on the revamped IGP for three years. AIs are investors who can hold pre-issue capital not exceeding 10%. These investors can be individuals with a total gross income of Rs 50 lakh per annum and minimum liquid net worth of Rs 5 crore, or a corporate body with a net worth of Rs 25 crore or above. Many Indian tech-enabled and e-commerce firms such as Flipkart, Paytm and InMobi have availed of multiple rounds of funding from private equity and venture capital investors. However, they have stayed away from the public markets for various reasons including the valuation gap between what a company expects and the market’s willingness to pay for it, and lack of understanding about the business models of such companies by common or retail investors. SEBI will soon release the detailed guidelines for the IGP platform. The regulator had given an ‘in-principle’ approval to facilitate listing of startups on its revamped platform at its previous board meeting in December. SEBI had proposed to rename the platform to Innovators Growth Platform (IGP) from its earlier avatar of Institutional Trading Platform (ITP). The ITP was a window on the stock exchanges where e-commerce, data analytics, bio-technology and other startups could list and offer their shares for trading. However, it had failed to generate any market interest. The decision to approve the new framework was announced after the capital markets regulator’s board meeting which took place in New Delhi. Union finance minister Arun Jaitley addressed the SEBI board and top ministry officials after the meeting. 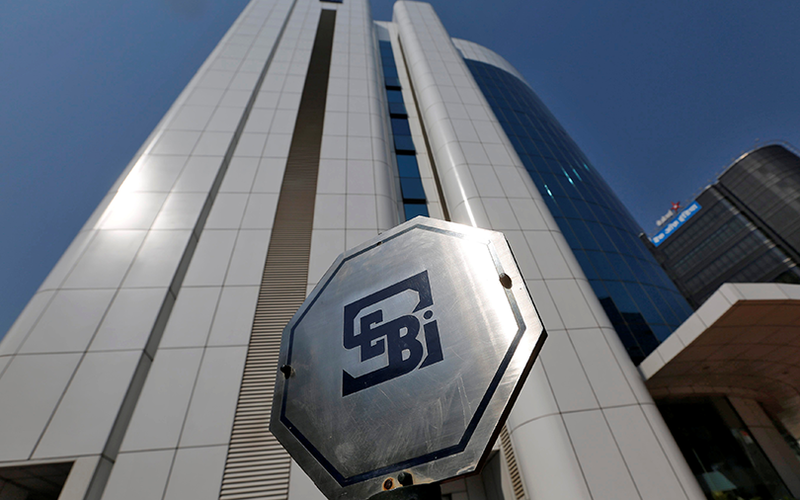 On Friday, SEBI also allowed asset management companies (AMCs) and portfolio management services (PMS) to trade in commodity derivatives with a view to providing an avenue for increased liquidity and depth. In May 2017, SEBI had paved the way for Category-III alternative investment funds (AIFs), which include hedge funds, to participate in the commodity derivatives market. The SEBI board also approved increasing the leverage limit for infrastructure investment trusts (InvITs) and real estate investments trusts (REITs) to 70% of assets from 49%. This will give a huge boost to newer InvITs to float their offerings and help the current ones raise more capital. Last December, the markets regulator sought to streamline the process of listing real estate investment trusts (REITs) and InvITs by allowing alternative investment funds (AIFs) and other affiliates of merchant bankers to participate in the anchor allotment of such public offerings. VCCircle had reported in January that India Grid Trust, a listed infrastructure investment trust (InvIT), was looking to drive growth inorganically by acquiring assets. Sterlite Power Grid Ventures’ India Grid Trust is among the three InvITs that have been floated since SEBI notified regulations in 2016 for setting up such trusts. IRB Infrastructure Ltd was the first company to float an InvIT in May 2017, receiving received high demand. However, IRB’s InvIT made a muted stock market debut with its units listing at a slight premium to the fund’s initial offer price. That rubbed off on India Grid InvIT whose public offer coincided with IRB InvIT’s listing. Sterlite Power’s InvIT fared even worse, with the IPO struggling to find investors. SEBI also allowed custodians to get permanent registration instead of periodic renewal of their licences every three years. The move is aimed at facilitating ease of doing business for such market intermediaries. Separately, SEBI also lowered the fees by a third to Rs 10 per crore of transactions for brokers. The new fee structure would be effective 1 April -- the start of the new financial year. Besides equity markets, SEBI also reduced the fees payable by brokers transacting in agri commodities by 93% to Re 1 per crore of transactions. SEBI also lowered the fees on re-filing of IPO offer documents by half, provided that refiling is done within one year from the date of SEBI’s final observations to companies. Many companies had filed their IPO documents last year, but could not launch their offerings due to volatile market conditions. At least four dozen firms were in queue to float their IPOs, many of whom are nearing the expiry of the SEBI approval which is valid for one year.